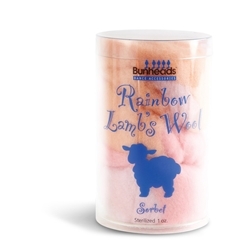 The Lamb’s Wool Feet Cushioning – Capezio® comes in 1oz tubes, and is available in Rainbow or Spun Silver colors. Pull apart Lamb’s Wool and wrap around toes to lightly cushion. Place where needed in the shoe to provide additional comfort and support. Made of 100% Wool, sterilized, non-toxic and hypoallergenic.